Looking for Chlorine Free Pools in Tennessee? Many of them belong to gyms or sport centers which also offer lessons. Are you on holiday and want to keep fit and healthy? 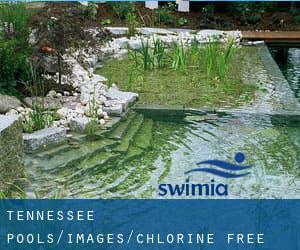 Swimia.com provides you the simple and quickest way to obtain pool near Tennessee. Not all countries are the same, and swimming regulations and rules are changing from one country to an additional. Please have a look towards the Swimming Pools swimmers like you have got reported. Is your pool not listed? Contact us to ADD IT. It's free! Water sports are increasing especially in elderly population sectors who have suffered some type of muscle or bone damage. We currently have the following Chlorine Free Pools in Tennessee, but we are constantly grateful for any corrections or contributions. Get in touch by way of our get in touch with form. Swimming is a great idea to help keep your body active for the duration of your visit to East Chattanooga (Tennessee), or even if you are a local. Swimia helps you to discover your closest Swimming Pool in East Chattanooga. Let us tell you a secret to switch off when you're in Knoxville: just select a Swimming Pool in Knoxville and plunge into the water! There's no extra effective method. Whereas Nashville is one of the six most populous cities in Tennessee with nearly 530.852 residents, you shouldn't miss that one if you're going to Tennessee. It's hard to visit Tennessee with no dropping by Chattanooga (with 167.674 residents). Presently Swimia is showing you all the Swimming Pool in Chattanooga and the closest pools situated in its vicinity. Without a shadow of a doubt, swimming in Nashville-Davidson (balance) is the best way to unwind right after work. Take a couple of minutes to browse Swimia's catalog to find a Swimming Pool in Nashville-Davidson (balance). Holding an estimated population of 646.889, Memphis is one of the most important cities in Tennessee. Check all of the Swimming Pool in Memphis and its surrounding region. 7700 Flaherty Place , Bartlett , TN , USA (Postal Code: 38133). Among all of the activities offered by the center, if you are keen on swimming you will appreciate 25 yards, 8 lanes, 4 feet - 10 feet depth, Non-Chlorine Sanitized, Indoors. Just in case you want to contact this Swimming Pool prior to dropping by, we only know the phone number. 245 Madison Ave. , Memphis , TN , USA (Postal Code: 38103). Swimmers like you reported 25 yards x 45 feet, 6 lanes, 3 feet - 6 feet depth, Salt Water, Non-Chlorine Sanitized, Indoors. Unfortunately we do not have the email address of this Pool, but we can give you the phone number.